Incredible Ice Breakers & Energizers! Kick-start Your Event With This Finest Selection. 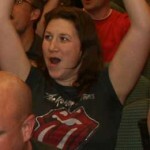 Engage Your Audience and Have Them Eating Out of Your Hand! Our “wicked” ice breaker games and ideas ensure any event gets off to a roaring start, leaving you free to catapult your audience into the stratosphere with the main purpose or message of the day. Whether you are bringing people together for work, pleasure, or the benefit of the community, it all takes, time, energy, commitment and cash too. You cannot afford to have a flop; your reputation is on the line, and you need to ensure your event is the very best it can be. Using a fun carefully selected icebreaker will endear you to your audience and have them eating out of your hands for the rest of the day! Ice breakers, energisers and warm-ups are an essential part of any event that brings people together for work, pleasure or the benefit of the community. Taking the form of games and exercises – physical, creative or cerebral, silly or not so silly, they lighten the atmosphere, energise participants and make it easier for people to get to know each other, and look forward to the main reason for coming together. 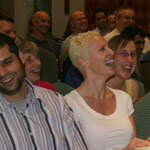 Icebreakers can be used to kick-start any conference, meeting, training event, party etc. Icebreakers & energisers break down barriers quickly, get people talking and introducing themselves to each other. A successful icebreaker at the start of any event gets your people interacting and having fun. Icebreakers switch people "on" and really get participants engaged, so when you turn to the purpose of the meeting, people are ready, focused and eager to listen to your message. An icebreaker should be fun, non-threatening and all-inclusive,whether people are meeting for the first time or reconnecting. They can be used with familiar teams and groups as a fun starter to the day’s meeting & to get everyone in the right frame of mind for the main topic of discussion. 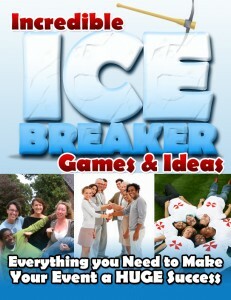 Learn how to run The Limerick Ice Breaker and many, many more incredible ice breakers to make your people wanting more! But you will find that all the games and ideas overlap and many can be used successfully for all 3 categories. It might just be the best investment you'll ever make... .Why settle for an average event when you can have a SPECTACULAR EVENT? 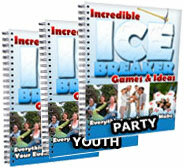 The "Incredible Ice Breaker Games & Ideas - The Complete Collection" comprises the entire collection of all our Corporate, Youth and Party Icebreakers. Each one is interchangeable and indispensible. Together they will ensure you are ready for any event! For a limited time this also includes 3 Fabulous Fun Team Activities as a BONUS!